Anirudh has been signed on for a Telugu film, which has actor Ram Charan in the lead. The composer will be making his debut in Tollywood with this film. We hear that he has already started composing tunes for this project. The film will be directed by Sreenu Vaitla of Dookudu fame. We hear that his fast number songs have fetched him this opportunity. Confirming the news, Anirudh says, "I am very much thrilled about my Telugu debut and am currently working on it." 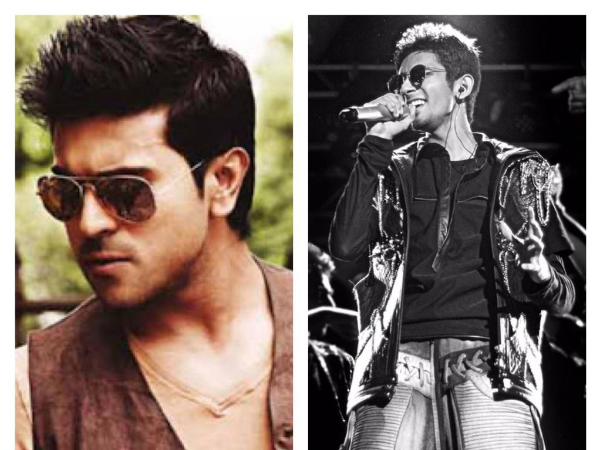 Ram Charan has always been obsessed with Tamil music directors and he has once again showed his love for Tamil music directors. Orange is one the biggest music hits in Ram Charan's career, which was scored by Harris Jayaraj. Also, his last release 'Govindudu Andarivadele' was with Yuvan Shankar Raja and it has managed to enter the playlists of music lovers. Now, he has roped in the Kolaveri Di guy, Anirudh Ravichander, considering his back to back hits in Tamil. This film will be the first for Anirudh in Telugu and he seems to be quite excited about it. Confirming the news, he tweeted, "Happy to announce that I will be scoring for my first Telugu film starring Ram Charan and directed by @SreenuVaitla". Well! It looks like the young team is all geared up to deliver a blockbuster audio. On the Kollywood front, he is composing music for Maari, Naanum Rowdy Thaan and Aakko.